OK, I totally lied. I don't have two Gift Posts coming up - I have three. This one is a last-minute insertion. Jenna's friend Carson had a birthday party today, and this morning we found out that Kate and Emily were supposed to come, too. So decided to make an extra birthday gift, because it would be faster than shopping. But what do I know about gifts for boys? 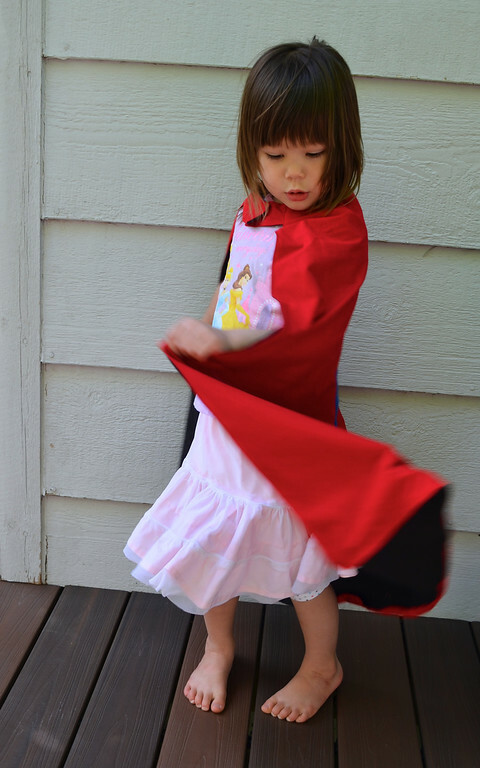 Decided that since it was a superhero birthday party, he should have a superhero cape. Boys like these (and girls, too, actually). I know this because everyone with a small son and a craft blog has made these. I think of it as the boy equivalent of mermaid tails. Dug into my stash and decided, based on the colors I had in large enough yardage, that the superheros du jour would have to be Batman and SuperCarson. let Kate twirl in it a bit, wrapped it up and hopped into the car with the girls. 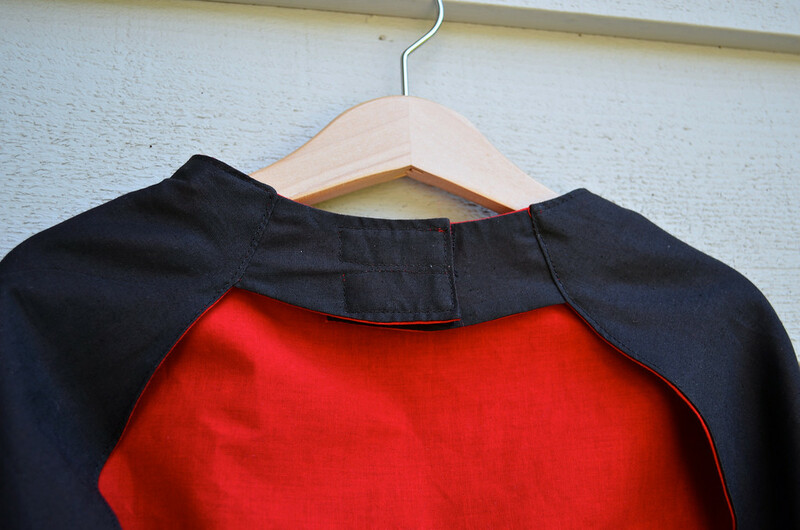 I didn't even have time to pin the layers, which is evident in the rolly hem. I am always unsure about boy gifts, because I never know if I am making them something that's too juvenile. Do 5-year-old boys still play dress-up or are they into electronics and robotics already? 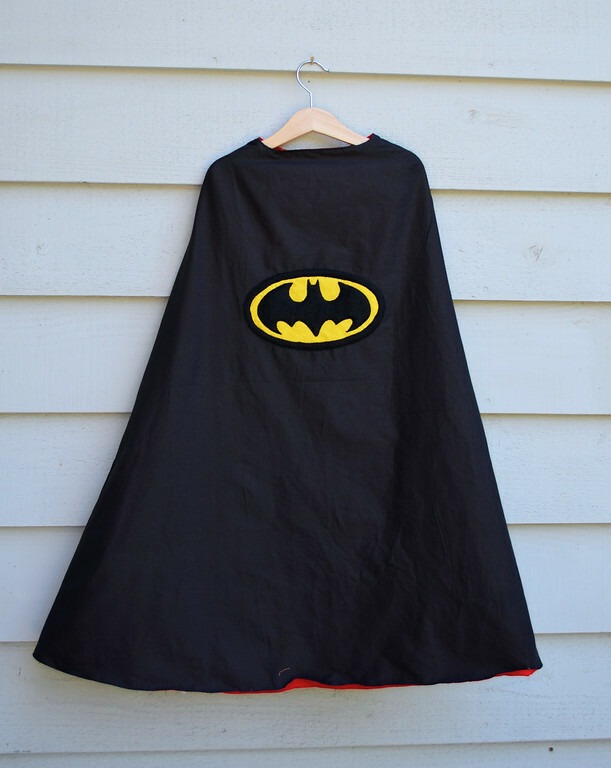 Apparently, it was a risk well-taken, because even the 8 (or maybe it was the 10) -year-old brother of the birthday boy was wearing the cape when I got back to the party to pick the girls up. And have you seen the Avengers movie? I haven't, but I've been sneaking peeks at the trailers. For once, this is a movie in which the boy outfits are funner than the (lone) girl's. I HAVE to make Thor!!!!!! Maybe I can convince E,J and K to be The Avengers this Halloween. Except not the Hulk. He doesn't wear enough to fight off hypothermia. Getting ready to have my third boy. 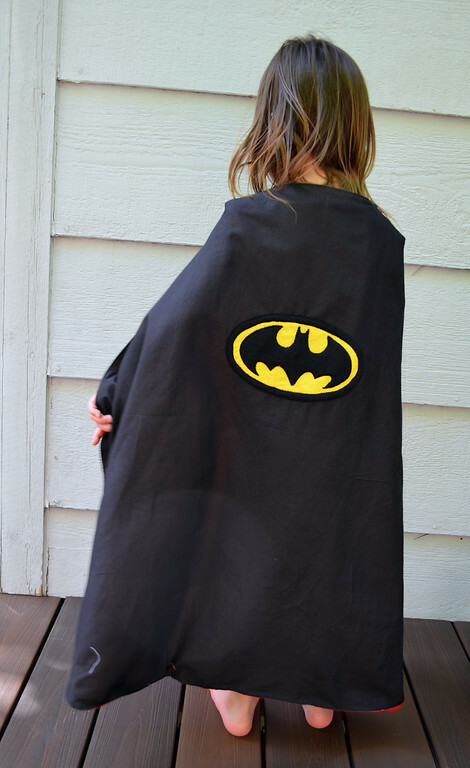 This cape is good for age 5. :-) I'm sure they loved it. 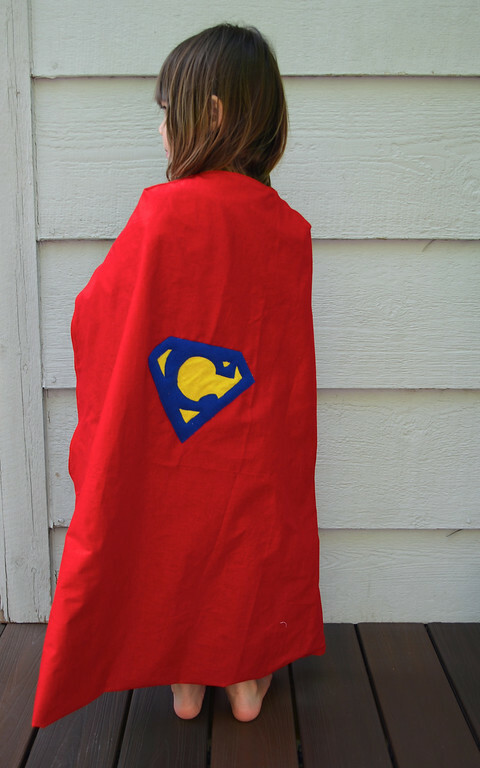 Yes the superhero cape is the girl mermaid tail! :) Great job! I love that yours is reversible. We did see the Avenger movie and it was really good! Worth seeing on the big screen! I remember when my brother and I were little, my mum didn't have much money to get us christmas presents so she made us both capes. They didn't come off for months. Such a great present for a little boy! Beautiful job! 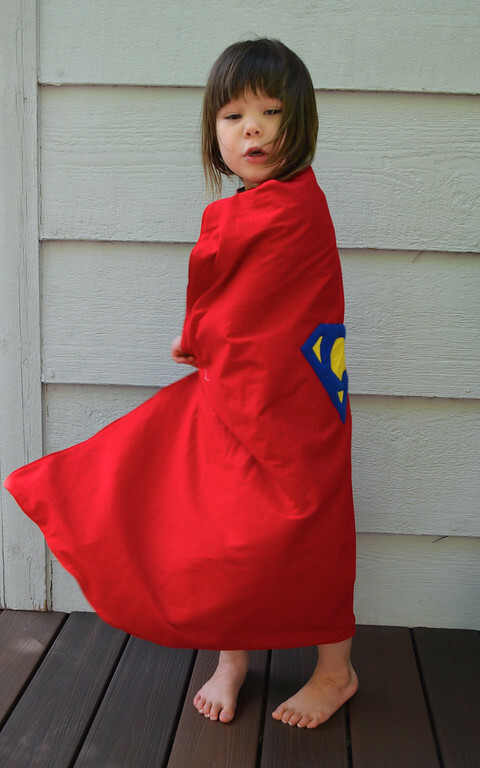 My son needs a new cape. He just turned 6 and still loves them. 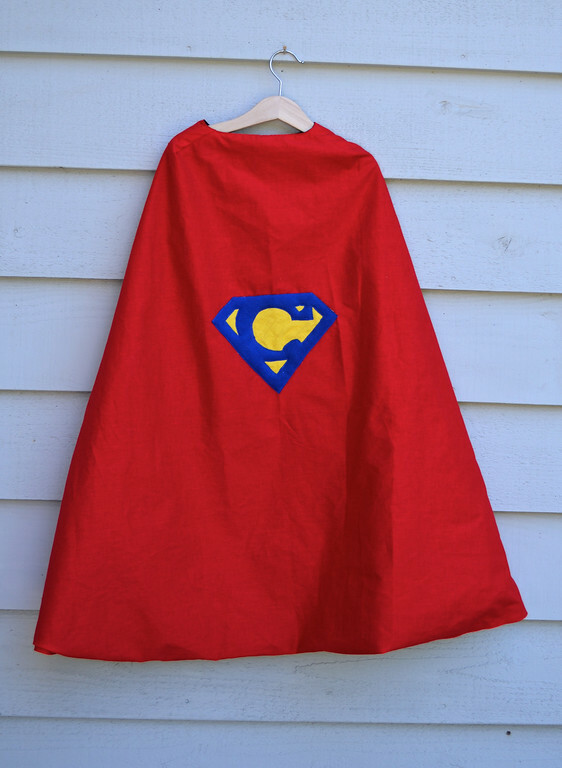 I made capes in superhero fabric for all the boys in Joe's class for Christmas. 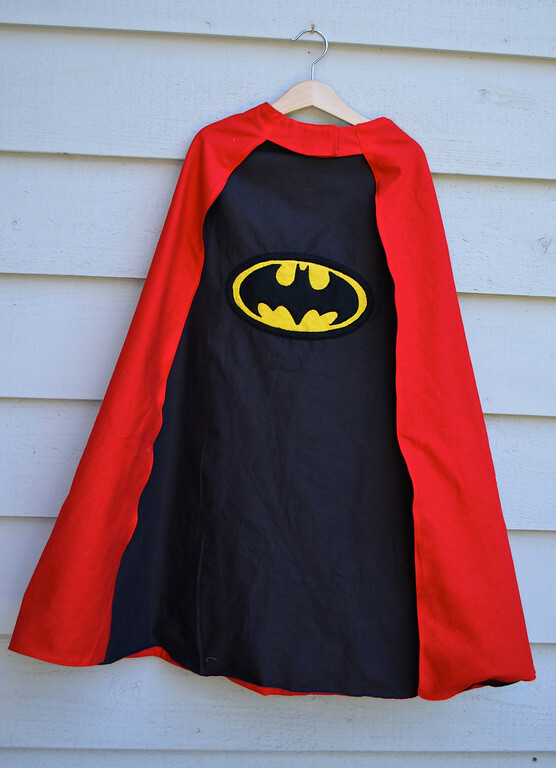 One parent came up to me and said Santa didn't need to come because the cape was all he wanted.... kids are too cute. Super Hero boys, they Never grow out of it! It was Just right! 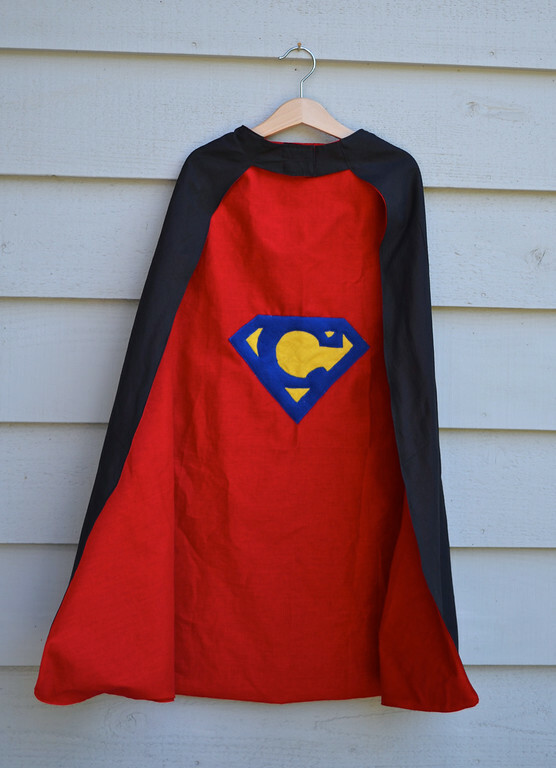 I made three capes for my grandson's third birthday last year and it was his favorite gift. This year he is having a Prince Charming birthday party. His sisters watch all the Disney princess movies so he has identified with the Prince, especially the one from Sleeping Beauty. Perhaps I need to make a Prince outfit? But you could make a really puffy green body suit for the Hulk. I think he would be the best hypothermia proof costume. 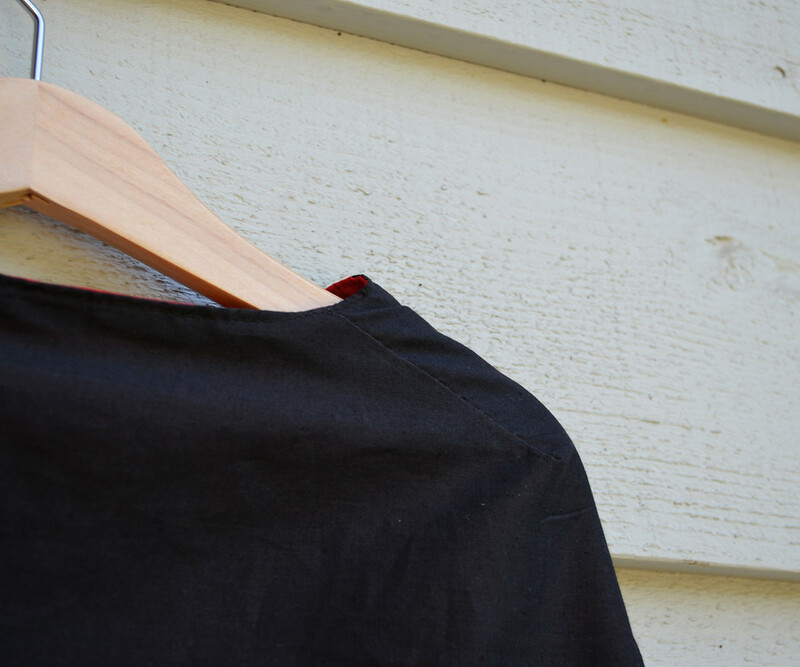 I want to make one for my husband as a fathers day gift!